A typical DUI arrest in Burbank triggers two separate legal actions; one involving criminal charges filed in court and one involving an administrative driver’s license suspension pursuant to the DMV and DUI Suspension Codes. While both actions are based on the same incident and involve the same set of facts, there are stark differences between the two and understanding the consequences of each is critical for someone who has been arrested for a Burbank DUI offense. Following a DUI arrest in Burbank, the arresting officer will seize the arrested individual’s California driver’s license and will provide him or her with a copy of the DS-367, a California Department of Motor Vehicles form that serves as notification of an alcohol-related driving incident and impending license suspension. Several different agencies, including the Burbank Police Department, the Los Angeles County Sheriff’s Department, the California Highway Patrol and the Burbank Airport Police, patrol the Burbank region and each communicate DUI arrest information to the DMV. Following the DUI arrest, a license suspension will begin automatically 30 days later if no action is taken by the driver. To contest the suspension, the driver or his or her attorney, must file the proper administrative hearing request with the DMV within 10 days of being arrested. Failing to file a request will result in an automatic suspension. When the arrested driver has an out-of-state license, the arresting officer is not supposed to seize this license (although this frequently happens as a matter of course). The California DMV cannot suspend driving privileges authorized by other states; however California can suspend an out-of-state driver’s right to legally drive within the state of California. In addition, the California DMV would communicate any DUI suspension to the driver’s home state, which usually triggers a reciprocal action in that state. Just as one would retain an attorney to represent himself or herself in court to fight criminal charges, it is also highly advisable to have an attorney contest the DMV license suspension. Because of the small window of time one has to request an administrative hearing, it is critical that a knowledgeable Burbank DUI Lawyer be brought aboard as soon after the DUI arrest as possible. The DMV administrative hearing is governed by its own unique set of policies and procedures, and an experienced attorney knows how best to mount a defense to protect his client’s driving privileges. The hearing officer handling the DMV administrative hearing, who is neither an attorney nor a judge, will render a decision after evaluating the incident reports, chemical test results, and testimony of any witnesses presented during the hearing. If the hearing officer determines that the suspension is valid, it will be re-imposed against the driver without any additional penalty. If the hearing officer decides the department’s burden has not been met, a set aside will be granted that essentially nullifies the suspension. If re-imposed, the suspension for a first-time DUI offender who did not refuse testing and who is 21 or older would be four months. After 30 days of not driving, a restricted license could be obtained as long as the driver can provide proof of enrollment in an alcohol education class, proof of supplemental SR-22 insurance and payment of a $125 reinstatement fee. Obtaining a restricted license adds two months to the suspension period, however it would allow driving for employment purposes. For DUI drivers in Burbank who are under 21, drivers who refuse testing or drivers who have had a prior DUI suspension or conviction, the suspension period would be one year. For most of the drivers dealing with a yearlong suspension, restricted licenses would not be available. 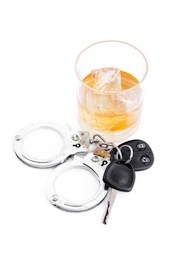 A restricted license would be available for a person with a prior DUI as long as they were not on probation for the first offense when they picked up the second DUI. These drivers could get a restricted license as long as they have been convicted of the second DUI in court, they have installed an Ignition Interlock Device (“IID”) and they have served a 90 day hard suspension. If you or a loved one have been arrested for a Burbank DUI offense and are facing an impending driver’s license suspension, it is critical that you discuss your case with a skilled Burbank DUI Lawyer immediately as it is very easy to miss crucial DMV deadlines. As a former Deputy District Attorney with over 14 years of prosecutorial experience, Burbank DUI Lawyer Michael Kraut has had tremendous success in protecting his clients during all aspects of the DUI process, including the DMV administrative hearing. Mr. Kraut is widely respected in Burbank as a top-notch litigator who possesses an in-depth understanding of the DUI law. For more information about Burbank DMV and DUI Suspension Codes, and to schedule your free consultation, contact Burbank DUI Defense Attorney Michael Kraut at the Kraut Law Group located at 2600 West Olive Avenue, 5th Floor, Burbank, CA 91505. Mr. Kraut can be reached 24/7 at 818-563-9810.